I have been thinking a bit about the design of the block feature on some platforms. Let’s take Twitter as an easy example. When you block someone on Twitter, they don’t notify the person you block, meaning that they don’t specifically send them a message. But, when the person notices that you are no longer showing up in their timeline, they may go to your profile and try to follow you again. At that point, they are notified that they can’t follow you because you have blocked them. Personally, this means I will never use the block functionality. Even though I might otherwise like to filter some people out of my streams. If I want to do it, I’ll need to use a third party application (like TweetDeck) that allows me to filter out tweets from specific people. I won’t bother to do that because the list only works in that app. 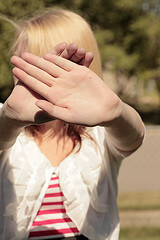 If I want to block someone, what I am saying is that I don’t want to see them anymore. I don’t really care if they see me or not (my tweets are public, anyway). I just don’t want to see them and give them any attention. But, when you tell someone you have blocked them, that is giving them attention, which leads to a response. I don’t want to give them that attention and that satisfaction. I should say that this is less of an online community (where people engage around a topic/interest) thought and more of a social platform (where people follow each other individually) thought. I’m not really a huge fan of block functionality on community spaces. There are two sides to this, of course. There is the side that says the person who is blocked deserves to know and there is the side that says that the person who did the blocking should be allowed to do so without consequence. Neither is wrong, necessarily. But, I do think that when it comes to blocking, thoughtfulness should generally err on the side of the blocker. If you do a search on Twitter for the word blocked, you’ll find people complaining or boasting that they’ve been blocked by someone several times a minute. Informing people that they have been blocked can lead to more ridicule directed toward the blocker and, in that way, sort of defeats the purpose of the block. I’m not sure that defending your personal stream should come with this ridicule. Perhaps there is a need for a middle ground between “allow” and “block.” “Ignore,” perhaps. I don’t want to see them, but don’t care if they see me. That, I might actually use. Could the United Kingdom Block “Web Forums” by Default?